Take MRT get off at Buendia station. From Shell Gasoline Station take jeepneys bound for (Buendia – Washington) and get off at Petron Gasoline Station at the corner of Makati Ave. and Gil Puyat Ave. (formerly Buendia). 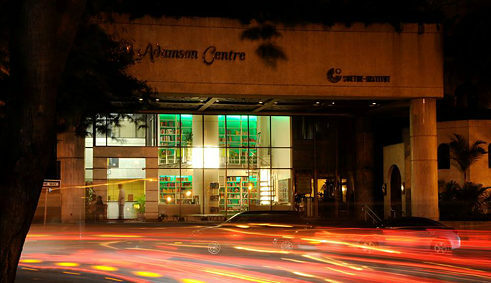 Cross Gil Puyat Ave. turn right on the 2nd Street at Dela Costa and left at L.P. Leviste St. (3rd St.) The Goethe-Institut is on the 4-5/F of the Adamson Centre. Opposite is the Banco de Oro (BDO) Bank.